Thirteen players departed Milan this past summer. Thirteen. They included Zlatan Ibrahimovic and Thiago Silva. 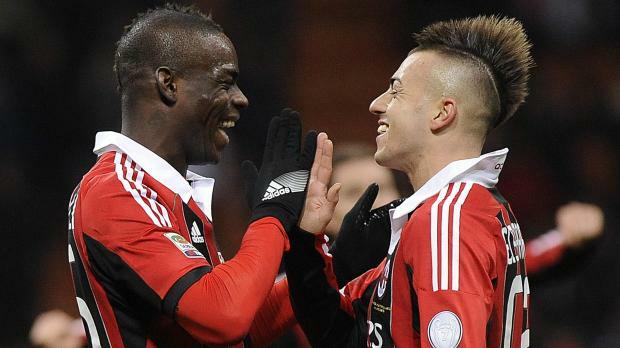 If someone were to tell you that a fledgling team containing Stephan El Sharaawy and M'Baye Niang would boss one of the best club sides ever assembled at the San Siro, you would have guffawed. Well, it did. That 2-0 win will be a cherished memory because it was achieved by youngsters who survived the crucible of the first leg remarkably well. Riccardo Montolivo (not so young at 28, but still), El Sharaawy and Niang are all going to be critical for Milan in the future. Milan CEO Adriano Galliani recently said that playing Barcelona "was great for business" because of their commercial might. Milan will earn a huge amount in TV money by having played one of the strongest sides on the pitch and off the pitch in the world. And for a team that is building and is striving to boost revenue, that is heartening news. Let's face it: losing to the preternatural Lionel Messi is no shame. We are witnessing a player who will do this time and time again, and who has done this time and time again. Well done, Messi, and, of course, well done, Barcelona. Milan absolutely have to make the Champions League, and though they are only two points off of Napoli, Fiorentina, Lazio and Inter are grunting, hot in pursuit. Galliani admitted that the contract renewals of many players (not the 'big ones') depended on making the Champions League, so there are prosaic but crucial fiscal issues at stake. Also, even if Milan were to wriggle through this phase, they had no real chance of winning the Champions League. He will be eligible for Europe next year. You have all been warned.